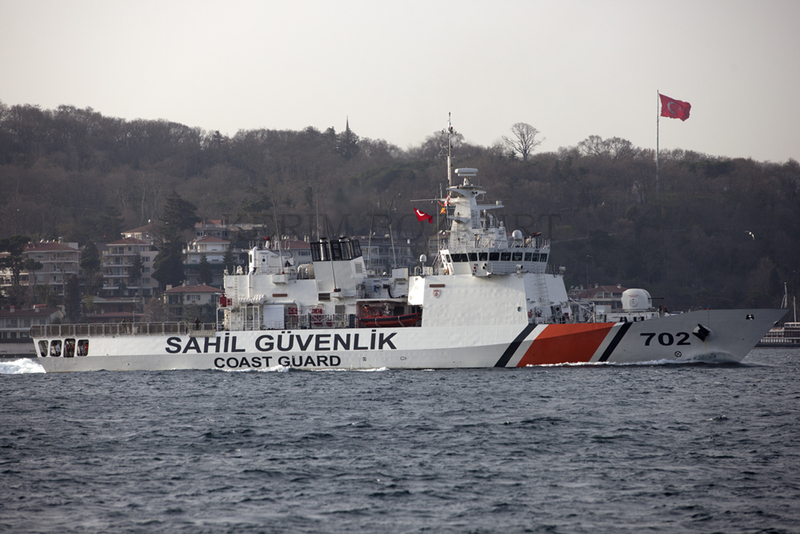 The Dost class OPV of Turkish Coast Guard and one unidentified Turkish submarine were seen passing through the Bosphorus on 21 January 2013. 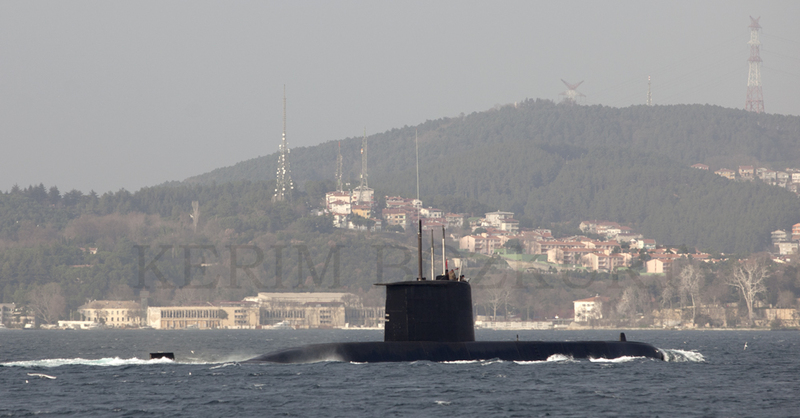 SG-702 TCSG Güven on Bosphorus. 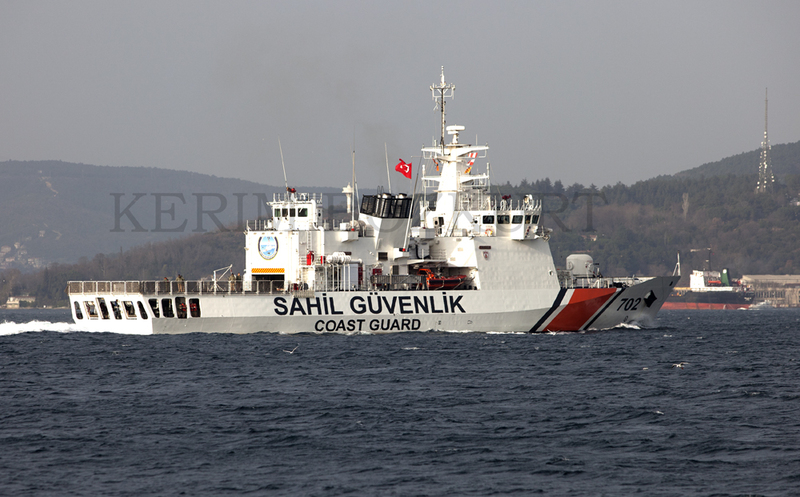 Photo: Kerim Bozkurt. Used with permission. 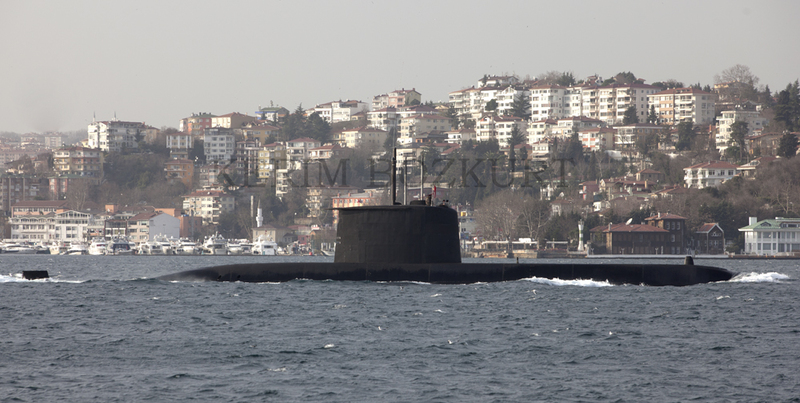 A Turkish Type 209/1200 class submarine on Bosphorus. Photo: Kerim Bozkurt. Used with permission.